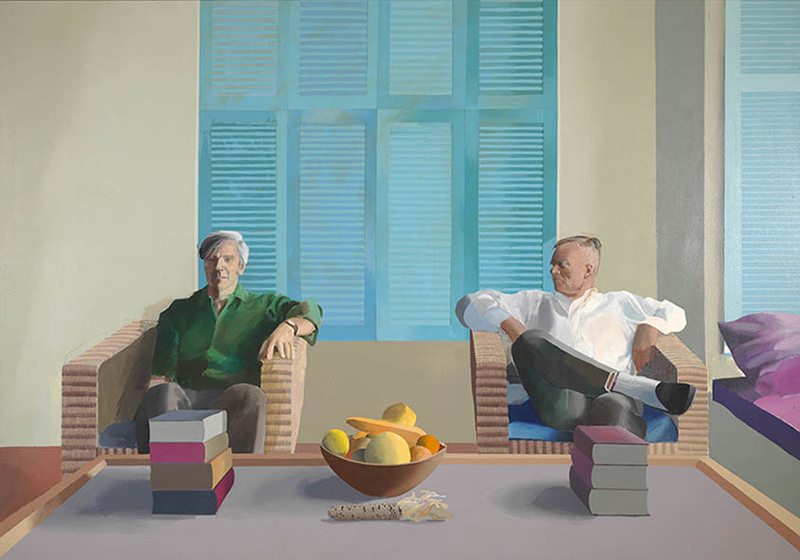 Tate Britain presents an unprecedented overview of the impressive body of work of British artist David Hockney. Currently entering its final week, the exhibition will tour internationally to Paris’ Centre Pompidou and New York’s The Metropolitan Museum. Gathering an extensive selection of the artist’s most famous works to date, the touring exhibition demonstrates how he continuously questioned the nature of pictures and picture-making and challenged their conventions throughout his achievements in painting, drawing, print, photography and video across six decades. The exhibition is presented as a chronological overview and lays bare how the roots of each new direction lay in the work that came before: from his portraits and images of Los Angeles swimming pools, through to his drawings and photography, Yorkshire landscapes and most recent paintings at London’s Royal Academy and beyond. As he approaches his 80th birthday, Hockney still continues to change his style and ways of working, embracing new technologies as he goes. This is a once-in-a-lifetime chance to see these unforgettable works together.